Including boys from all backgrounds is essential to our school. It was our Founder's intent. It remains the firm ambition of the Governing Body. This is why bright boys are offered generous bursaries. Fees should never be a barrier to brilliance. Provide access to the best education available to boys of strong academic potential, whatever their financial background. Attract excellent and committed pupils whose presence enhances the life of the School. Ensure that the School does not become exclusively available only to wealthy families. Ensure that the School remains a broad society. Read more about the growth in bursaries over the last ten years here. The strength and allegiance of the House system is an important aspect of life at Winchester. 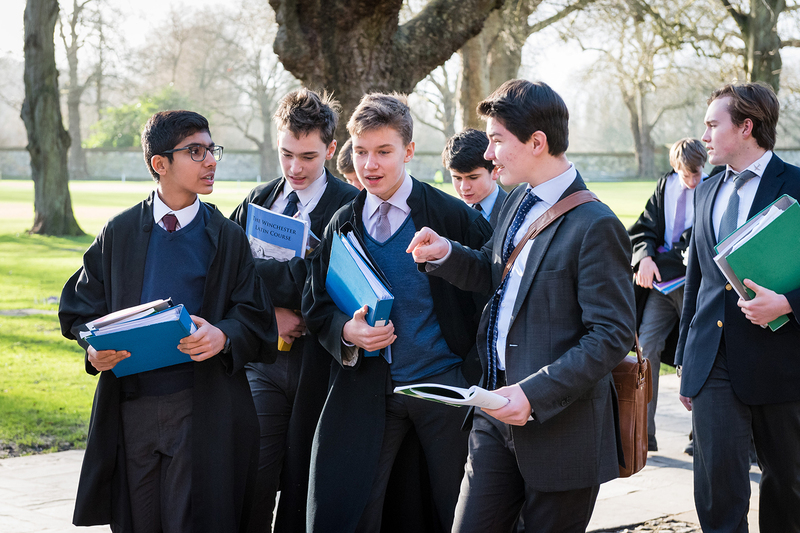 Every Housemaster wants his House to attract excellent and committed boys who will enhance the life of the community. Bursaries are helping to achieve this. There are currently 117 boys in receipt of bursarial support costing £3.2million annually. Winchester is in the unfamiliar position of having to limit the bursary awards, as demand is growing quicker than our ability to meet it. At present the central Bursary Fund is far from sufficient to meet the demand, and so we have been topping it up from general funds. It is our hope that we can build on both the central Bursary Fund and the House Bursary Funds, to meet demand. 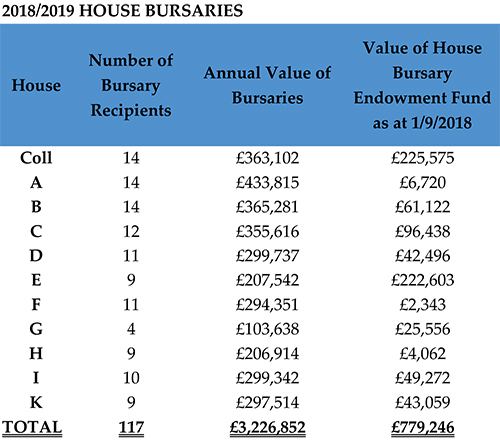 The table below shows how many bursary recipients are in each House, the value of the bursaries and the current value of each House Bursary Fund. As you will read there are some large differences! If you would like to help your House to grow its endowment fund then you can donate online or alternatively other methods of giving can be viewed here. You don't have to give a lot to make a difference. Collectively small regular donations can have a big impact. If 150 people give just £18 a month plus gift aid we can fund one full bursary for a year.